There is a wide array of cover crops to choose from depending on an individual’s climate, crop rotation, equipment, management strategy, etc. The cover crop species that you choose will also depend on what your goals are. We are here to help match up your goals with the right cover crops based on your unique farming operation and climate. With the right seed blends, you can get the maximum benefit out of your cover crops to help kick start your way to healthy, productive, profitable soils. 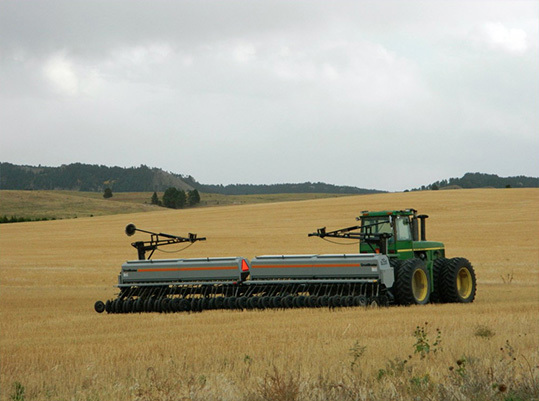 Cover crops can be planted in a number of ways and each has their benefits and limitations. How you plant your cover will depend on your crop rotations and equipment. The most effective and accurate way of planting to maximize seed to soil contact is to use a drill or a row crop planter. Placing seed directly in the soil increases chances of germination which requires lower seeding rates and in turn saves on seed costs and also allows for an even stand. Drilling or planting can also utilize soil moisture and does not necessarily require a rainfall for germination. The only downfall is you must wait until your cash crop is harvested in order to plant your cover which can become tricky with crops that are harvested late. This being said, there are cover crop species that deal well with late planting dates and can grow vigorously come spring. The biggest advantage of aerial seeding is that you are able to seed into you cash crop prior to harvest so the cover has a longer time to establish while crops are drying down in the field. Another great thing about aerial seeding is the ability to fly the cover crops on, regardless of field conditions. This way you can utilize the moisture after a rainfall by getting that seed out there when it would not be possible with field equipment. The disadvantage of broadcasting seed this way is the potential for an irregular spread pattern. This can be a problem with light seeds, seed mixes with varying sizes of species, and high wind conditions while flying the seed on. It also requires getting water either from irrigation to rainfall, right before or sometime after flying on because the seed is laid on top of the soil and requires that moisture to germinate. 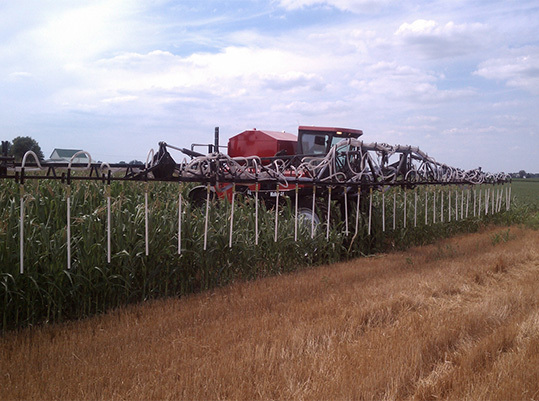 Many farmers have been adapting their highboy sprayers in order to interseed their cover crops into a standing cash crops. Similar to aerial seeding, this allows you to get your cover planted prior to harvest, but has the added benefit of getting an even seed spread with seed mixes, and better seed to soil contact. This method seems very promising when time is limited such as the case with corn/soybean rotations in the Midwest. Just as the title suggests, this method involves broadcasting seed before or after harvesting your cash crops. This works very well if you have the ability to incorporate the seed into the soil with very light tillage. When broadcasting without incorporation, we recommend increasing seeding rates by 20-25% to maximize chances of cover crop establishment. 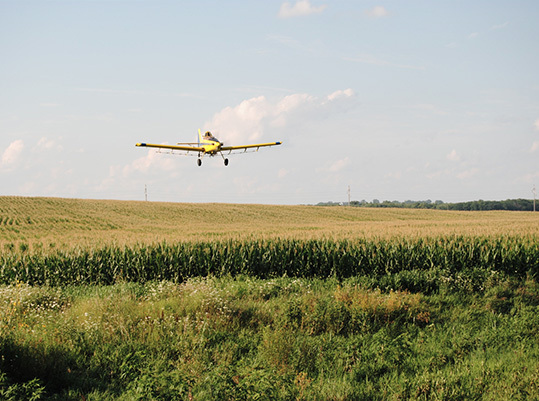 While conventional producers always have the option to terminate their cover crops with herbicides, input costs can be reduced by alternative termination methods. By planting the right cover crop blends and utilizing the right management techniques, you can effectively grow and terminate your cover crop stand without tillage or the use of herbicides. The following management techniques allow for continuous, uninterrupted biological activity that is so crucial for healthy and productive soil that gets better over time instead of being depleted and “worn out”. The easiest and lowest input method is to use blends that will winter kill in your growing zone. By timing your cover crop planting date right, it allows the cover to grow to the point of maximum benefit, right as freezing temperatures start to move in. This reliably terminates the cover crop without any intervention, and leaves your soil protected all winter long with plenty of “food” for the soil biology. When spring comes you are ready to plant without having to manage an actively growing ground cover. When using winter-kill cover crops, the key is to get them in the ground early enough to be of the most benefit before they are killed off by cold temperatures. This works exceptionally well when a crops are harvested with plenty of growing days left in the season. A good example of this would be a corn-soybean-small grain rotation. A winter kill cover crop blend can be planted after a small grain harvest with plenty of time to grow enough biomass and fix significant amounts of nitrogen before freezing temperatures kill it. The following spring can be planted to corn which can take advantage of all the nutrients made available by the soil biology feeding on the cover crop residue. The year after goes to soybeans which can be planted to an overwintering small grain following harvest. The following summer the small grain is harvested and cover crops are planted once again. This is just an example and by no means the only rotation. 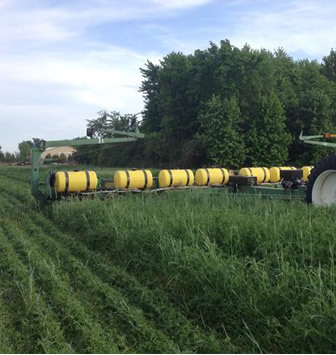 Different cover crop species can be utilized effectively in almost all rotations and operations. With the correct timing and the use of a roller-crimper type implement (Figure 1), you can effectively kill the cover crop stand by laying it flat to the ground and crimping the stem. This creates a thick mat that suppresses weeds, conserves soil moisture, and releases a continuous supply of nutrients among many other benefits. With a front-end roller-crimper, you have the added benefit of being able to plant at the same time you are terminating the cover crop. The key to success with this method is to wait until your cover crop has reached anthesis, which means the plant is in bloom. 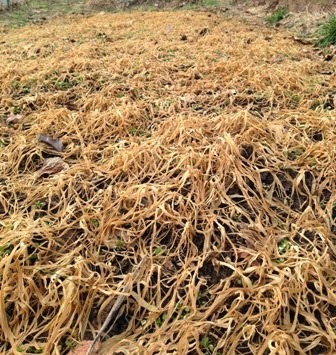 Rolling and crimping stops the flow of nutrients throughout the plant at a critical time in which the plant is never able to recover and dies soon after leaving a thick, nutrient dense “mulch”. The resulting residue mat conserves moisture, reduces erosion, increases water infiltration, suppresses weeds, releases nutrients, reduces soil temperatures, feeds soil biology, and the list goes on. 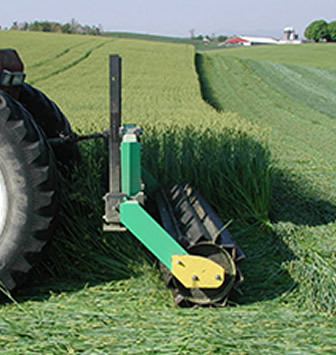 The simple act of planting can also be an effective management technique that is similar to using a roller-crimper. When the cover crop is in full bloom (Anthesis), certain planters are able to knock down the cover enough as they go through the field to result in effective termination. The great part about this method is no extra equipment is needed in some cases. It only requires the right cover crop blend matched with the proper timing of cash crop planting. Most planters have no problem cutting through a living green cover and therefore get good seed to soil contact despite the fact that you are planting into a high residue cover.